Santosh Pyakurel - How does Canada Express entry Work? How to write a Statement of Purpose(SOP)? Why do Student go abroad? Six Easy Steps for Visa Success ! कस्तो बिधार्थी ले विदेश पढ्न जाने ? HOW TO GET GERMAN STUDENT VISA ? Student's Visa Interview:What to do if you do not understand Interview Question? 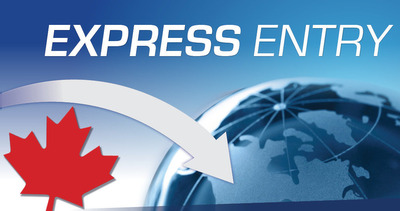 How does Canada Express entry Work? Advantages of Study in Canada-Why and How much? HOW TO BECOME ELIGIBLE FOR CANADIAN CITIZENSHIP ? How to Choose Major Subject? How to score well in school (University)? What level can you study with different grades in 10+2 ? समसामयिक बिषय -विदेश अध्ययन: के गर्ने?के नगर्ने ! How to Choose an Education Provider in Australia? Provinces and territories will also be able to recruit candidates from the Express Entry system through their Provincial Nominee Programs to meet local labour market needs. Ministerial Instructions set out the rules for governing the Express Entry application management system. other details that will help us assess them. Those who meet the criteria of one of the federal immigration programs listed above will be accepted into a pool of candidates. Anyone who does not already have a job offer supported by a Labour Market Impact Assessment (LMIA) (if you need one), or a nomination from a province or territory, must register with Employment and Social Development Canada’s (ESDC) Job Bank. Job Bank will help connect Express Entry candidates with eligible employers in Canada. Candidates are also encouraged to promote themselves to employers in other ways, such as using job boards, recruiters etc. In most cases when there is a job being offered to a candidate, employers will need an LMIA from ESDC. The LMIA process ensures employers have made an effort to hire Canadians for available jobs. There will be no LMIA fee for permanent resident applications. Note: Entry into the Express Entry pool does not guarantee a candidate will be issued an Invitation to Apply (ITA) for permanent residence. Invited candidates still have to meet eligibility and admissibility requirements under Canada’s immigration law (Immigration and Refugee Protection Act). Candidates will be ranked against others in the pool using a point-based system called the Comprehensive Ranking System. Points are awarded using the information in their profile. These additional points will make a candidate rank high enough to be invited to apply at the next eligible draw of candidates. If someone is invited to apply, they will have 60 days to submit an online application for permanent residence. Citizenship and Immigration Canada will process the majority of complete applications (meaning those with all the necessary supporting documents) in six months or less. Candidates can stay in the pool for up to 12 months. If they do not get an Invitation to Apply for permanent residence within 12 months of submitting an Express Entry profile, they may submit a new profile. If they still meet the criteria, they can re-enter the pool. This will prevent backlogs and ensure quick processing times. Till today, there have been 14891 visitors (24976 hits) on this page!